If you are having a problem with Ants, Fleas or Flies we can help. We use a range of techniques, each tailored to your specific insect issue. Other insects you may want help getting rid of include Cockroaches, Bedbugs, Woodworm, and Moths. 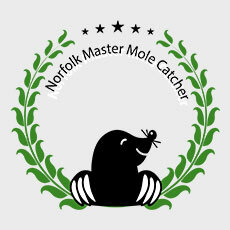 For all Insect Management requirements please call Norfolk Pest Control Services on 01379 852 950 or 07806 875 985 for advice and a free quote. Fleas are parasites that bite and can cause allergic reactions and massive discomfort to household pets. 2-3mm in length, they’re reddish brown and can jump 50 times their body length. The females lay eggs which hatch in around 2 weeks, and because the population in an area is unevenly distributed (50% eggs, 35% larvae, 10% pupae, 5% adults), several treatments of insecticide will be needed to fully eliminate the problem. Garden ants (or black ants) are most common in the UK. Around 3-5mm long and dark brown or black in colour, they mate between mid-July to mid-September. Reproduction: After mating the male ant dies and the female will bury underground for the winter and lay the eggs in late Spring which will hatch in 2-3 weeks. Two treatments of insecticide are needed - the 2nd is necessary to destroy any young that may have hatched and could start to reproduce. Although there are an estimated 240,000 types of Fly in the world. The ones we mainly find in the UK are Houseflies, Bluebottles, Cluster Flies, Filter Flies, Fruit Flies and Mosquitoes – all of which can sometimes be a pest. We control them using Permetherine Spray.